The biggest auto show in Europe is held every year in Geneva, Switzerland. This year, the 2013 Geneva Motor Show promises to be huge with many automakers planning to unveil new cars and concepts. Here are the five hottest cars (not concepts) that will be unveiled this year. After releasing new images of the car earlier this month, which our own Denis Flierl covered, the car is not only going to debut in Geneva in a couple of weeks, but it will also be coming to the United States as the first Alfa being sold here in years. The car is a rear-wheel drive, mid-engine design that weighs less than 1,870 pounds and puts out a massive 296 horsepower for a 0-60 mph time of only 4.5 seconds. The latest four-door luxury sedan from Bentley is the sporty and refined Flying Spur. The announcement for this car's debut at Geneva was just made a few days ago, along with some details on the 800 Nm of torque powerhouse it will employ. You can find out more about this luxurious speed demon at this link. Although technically a concept car, this will really be a one-off build from Pininfarina to celebrate Sergio Pininfarina's life of design and leadership. Sergio died in July of 2012 and was a long-time and celebrated designer at the venerable Italian studio. The man who designed some of the most recognized cars in recent history will be immortalized in a car designed specifically for him by those who knew him best. While the Corvette Stingray itself debuted at the Detroit show (NAIAS), the convertible version will debut in Geneva where it will be in direct competition with some of the most powerful sports cars in the world. This, of course, is the backdrop against which GM hopes to be seen, adding to the new Stingray's already growing reputation and buzz. They've done this in the past with great effect and there's no reason to think that the powerful new Stingray design won't rattle Europe again this time around. Easily the most-anticipated (and most talked about) debut for Geneva, the P1 has been slowly revealed as a powerful supercar with a hybrid drive train and race-ready, Formula One ancestry and vision. The car has been proven to be track-capable in a way only McLaren could pull off and promises to be the most powerful street-legal race car on the road. See spyshots and video at this link. Agree or disagree? What cars are you looking forward to this year? Agree? Pretty much... My interest centers on the Alfa 4C and the new Stingray. My first sports car was and 59' Alfa Romeo Giulietta Spider Veloce. My second a 63' Stingray roadster. So, my interest runs deep with those marques. Those cars were very different in character and demeanor and had pronounced impact on the way I view sports cars. 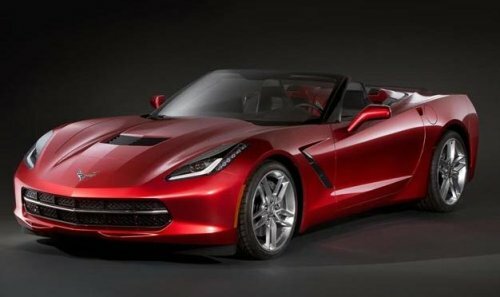 While I will probably never own either, I welcome the return of Alfa to the US market, and the return of the Stingray. Today, my real interest is in the upcoming, new, Alfa influenced, MX-5, and 2015 Mustang, though, I'm currently looking at putting a FRS/BRZ or 370Z in my garage.